Bravura Gold Resort Wish You a Very Happy Independence Day !!! Bravura Gold Resort Wish You a Very Happy Independence Day !!! 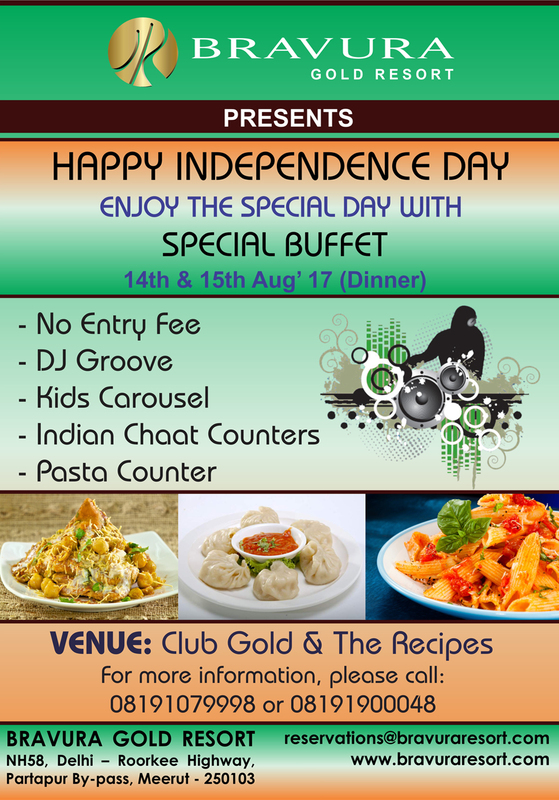 Enjoy The Special Day with Special Buffet on 14th & 15th Aug, 2017 at Club Gold & The Recipes (Bravura Gold Resort). NO ENTRY FEE.